Naot shoes are unique in their ability to combine comfort and European-style fashion. This year their Vinyard collection sandals, with a mid-to-low heel, are hot. The Cabernet has the gladiator look; the Chianti a very classic style that would work beautifully for dressy occasions. The Muscat has a rather aggressive fashion look, and the Reserve is perfect for an office sandal. 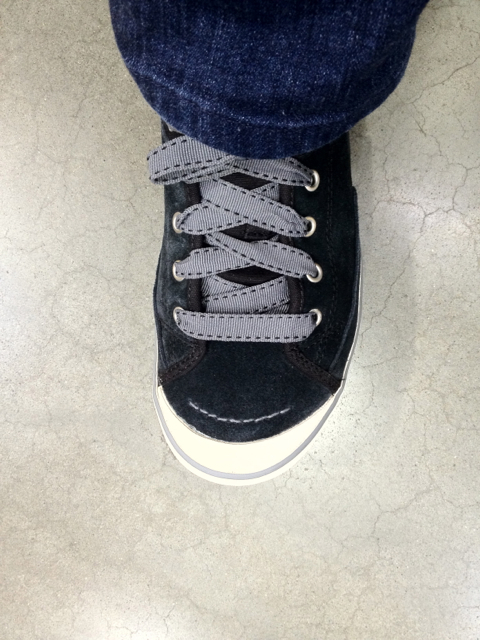 I just got the Reserve from Online Shoes, and am wild over it — the front band (as well as the strap) adjusts (via hidden velcro) making it perfect for my wide-in-front feet. Look to Naot’s Impulse collection for dressier black wedge sandals. The Deluxe, with lacy cut-out leather, comes in metallic black (as well as in some astonishing colors). It has a deluxe price of $190. The less-expensive Gallus is sturdier and has a tiny elastic inset in the back strap. 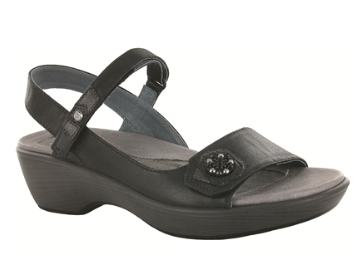 Be aware that to get traditional Naot support and comfort, you need to stick with collections that have sturdy soles. I tried the Cheer from the Avante-Garde collection (with a thin footbed) and it was just as painful and miserable to wear as most high-heel sandals from other brands. Thousands of women looking to buy classic flannel shirts this season are in consignment shops and vintage clothing stores. They’ve been driven there by retailers who got some weird idea in their heads that women would like their flannel shirts in pale turquoise, pink and lavender plaids. Sorry, I have no desire to look like I’m from Clan McBarbie. Classic plaid flannel shirts are based on tartan-weave fabrics, which date back thousands of years to early Celtic tribes in Europe. As early as the 1500s, tartans were used in Scotland to identify wearers by region or by clan. This GiltMANual blog post has a lovely visual guide to some of the classic plaids in fashion: Royal Stewart, Black Watch, MacDonald, McQueen, MacLeod, MacGregor, MacArthur, and Wallace. Wallace is my own personal favorite, being thick and thin black stripes on a field of scarlet red. These plaids are characterized by rich reds, blues, greens, or yellows and plenty of black stripes. The Pendleton wool mills brought plaids onto the fashion scene in the 1950s with wool shirts and shirt jackets. These went through a huge revival as an essential element of grunge fashion in the 1990s, and Pendleton plaid shirts are still in high demand in vintage clothing stores.